​Our renowned and experienced therapy team, cooperate out of an unparalleled and unrivaled facility and utilize a comprehensive and systematic approach of first class assessment, screening and treatment modalities which allow us to get you back to where you need to be, in no time. 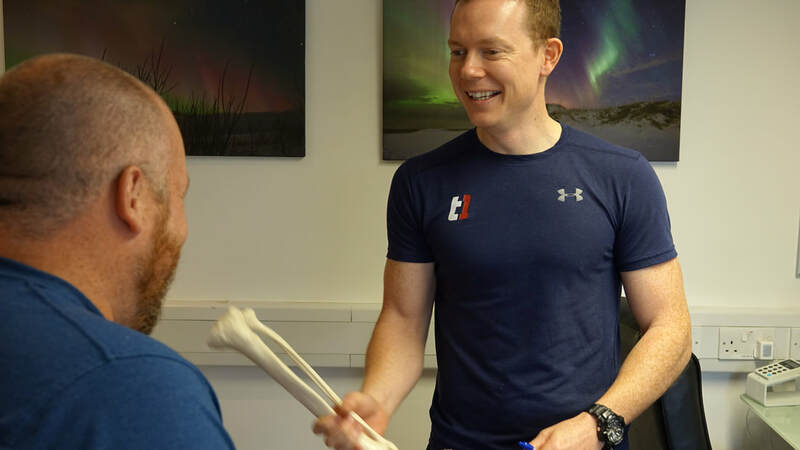 ​We emphasize a hands on approach derived from our wealth of experience in evidence based practice and are able to fully integrate treatment into first class rehabilitation and fitness programmes. Whatever the problem pain or injury we will be there to help. When you work with us, we will make you better. Whether you’ve chosen our Standard or Advanced Package, your first session will always place a heavy premium on examination & assessment. This ensures that we are able to give you our renowned level of gold standard care and attention. Our world class and cutting edge assessment protocols allow us to not only get to the root cause of your problem but to also measure and track to gauge how much you are improving in future treatment sessions. We will not put you in any further pain as the name of the game is to get you moving forwards. At Tier 1 we pride ourselves on our honesty and integrity with all of our clients and will not bamboozle you with any lingo or mumbo-jumbo that you simply cannot understand. You will leave this session having had all of our findings fully discussed and explained to you. As long as you are comfortable with everything, we will look to start treatment at your earliest convenience. If we believe you require treatment or services that our outside of our scope of knowledge or skillsets, we promise you that we will ensure that you are referred into the capable hands of someone who can. Just to let us know what area of your body/how long you have had the injury for/what problems you have come across. We'll discuss more when we contact you. Whether you opt for one of our T1, T3, T6 or T10 Packages, you can be sure that you are receiving the very best of care from our highly skilled Therapy Team. Following on from your Assessment session from which your problem/s will have been identified and made trackable, the treatment session is where we really get to work to get you moving forwards. During all of your sessions, you be getting constantly assessed and re-assessed to see how you’re progressing. As the only way to know if you’re getting better, is to actually test it and compare to where you were. We are a very hands on minded team and we know through experience and evidence based practice that our approaches work. 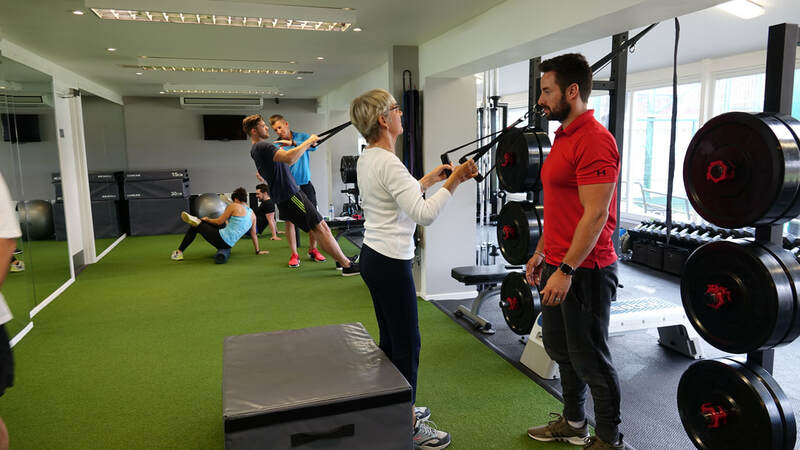 So you may find yourself in one of our therapy rooms, working in our custom built gym or outside on the track either way we will always do what is best for you. Our hands on approach combined with tailored exercise programmes will get you fully better. ​What we will say however, is that our philosophy is to educate you and make you accountable for helping yourself where possible. The simple reason for this is that we can help you to the best of our ability during your session with us but we recognise that there are another 23 hours in the day where you are without us. Very often, what you do in these 23 hours makes all the difference in your recovery. We know one of the most annoying things about home exercise programmes is forgetting what you’ve been asked to do. That’s why we have made things simple for you. Your bespoke rehabilitation programme is formed from our Tier 1 Exercise Library and is sent straight to your smart device or computer. With fully High Definition videos and in video instructions, you can rest assured that you never lose track or forget what to do ever again. Consistency is at the cornerstone of recovery and your fully customised programme ensures this. Tier 1 Therapists CPD, always learning something new. Each Therapist at Tier 1 is put through no less than 2 hours of training every week to ensure that they are remain at the top of their fields and are up to date in all the current concepts of physical based therapies. Working alongside our Strength and Conditioning Coaches, and other physical health professionals we continue to improve and look at new techniques that are available. Put simply; you will have the complete care package and team looking after you, every step of the way as you work through your unique and customised programme derived from our world class assessment protocols. Following your successful return to being fully fit, your journey may not stop there. Prevention then becomes the next goal for you, if you choose to pursue it.